But before we show you, if you didn't see our Tuesday post make sure you check it out HERE - some very exciting news about our brand new Digi Queens team!! 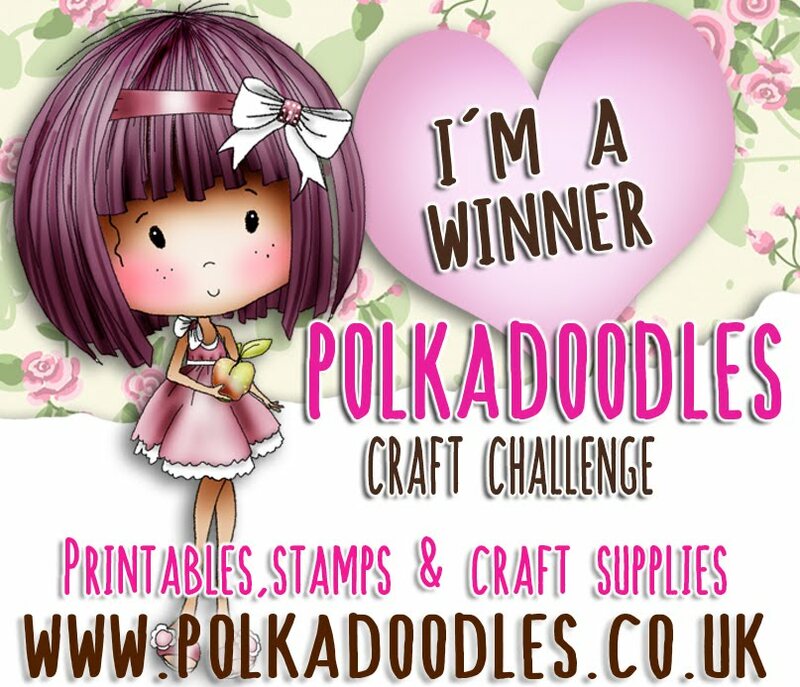 Also, watch our for a fabulous new release next week - and if you are a member of Kit and Clowder watch out THIS WEEKEND for a great Polkadoodles promotion - we're teaming up with Alyce for some fab competitions and lots of fun with prizes galore!! So make sure you head over to Kit and Clowder and read those newsletters in your inbox! Lots of goodies up for grabs! You have until noon GMT Friday, September 5 to enter. The winner of the Week 32/33 - Fun in the Sun is at the bottom of this post. 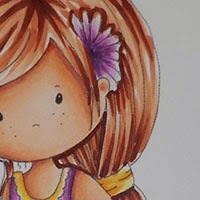 There have been 100 new products added to the store at Polkadoodles. 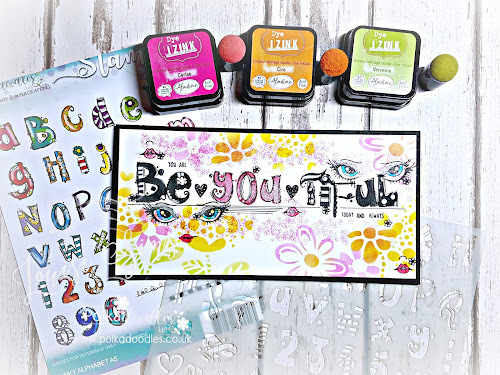 you could wish for so make sure you check them out there's some seriously lush new stamps we're all craving! Bev here with some mid challenge inspiration for you. And now that I've started to get organised for Christmas I decided to use a digi from Work & Hollybobs CD that I coloured with my Graph'its . The image is also available as a digi here. The shape of the card and of the present paper is in the frame section from the CD Picnix 2 . Cracker and sentiment are also from Hollybobs . Yvonne - Hi all! 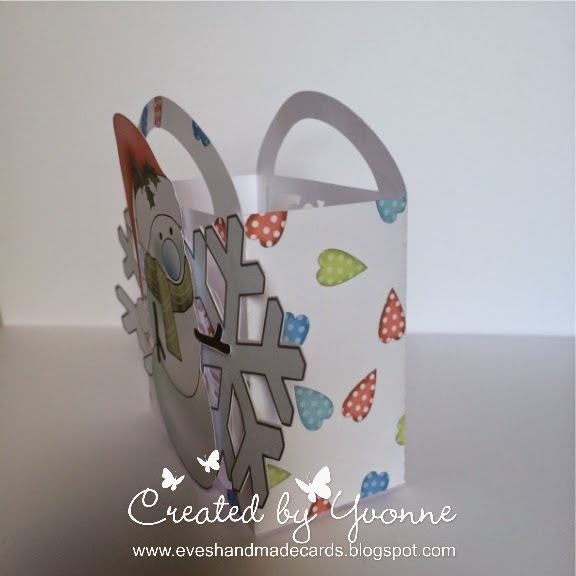 This week I got a little side tracked and did a little gift bag from the Work & Play Hollibobs Collection, using the wonderful snowman from the same collection. Then I remembered that this was supposed to be a shaped card too! 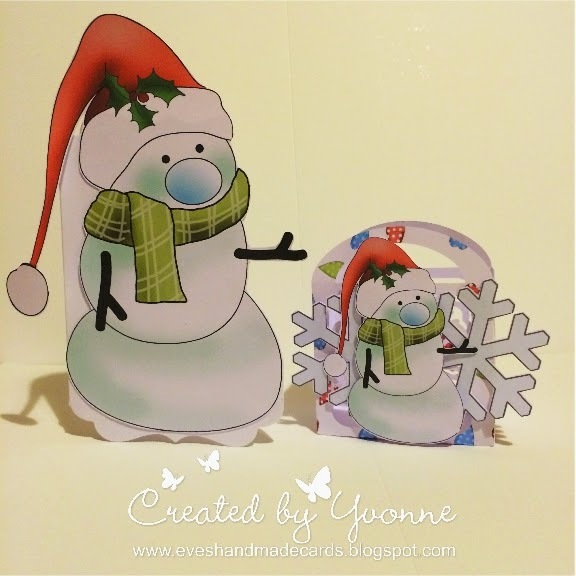 So I printed the snowman again, this time bigger, then cut on my cutting machine , fixed him to a card A6 blank and then cut around him - so I now everything matches and is perfect to hold a little Christmas treat ! Jenny here with my inspiration... 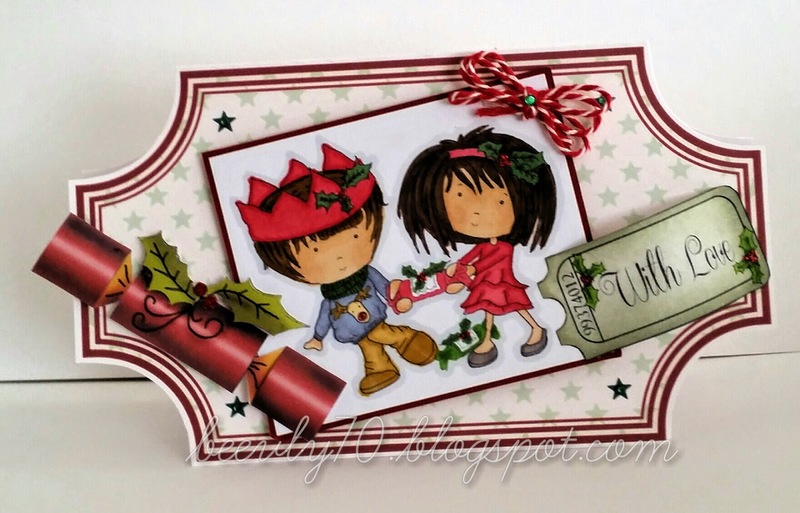 I used the fabulous festive Hollibobs Work and Play and have used a couple of layers of paper that match. This is always so easy as Nikky always includes a huge array of co-ordinating elements in the collections . 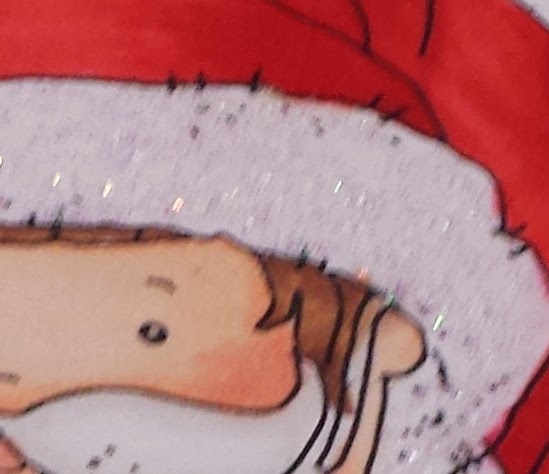 I made ​​a small pop out with the papers and just used the Santa Claus and a tag from one of the backing sheets . 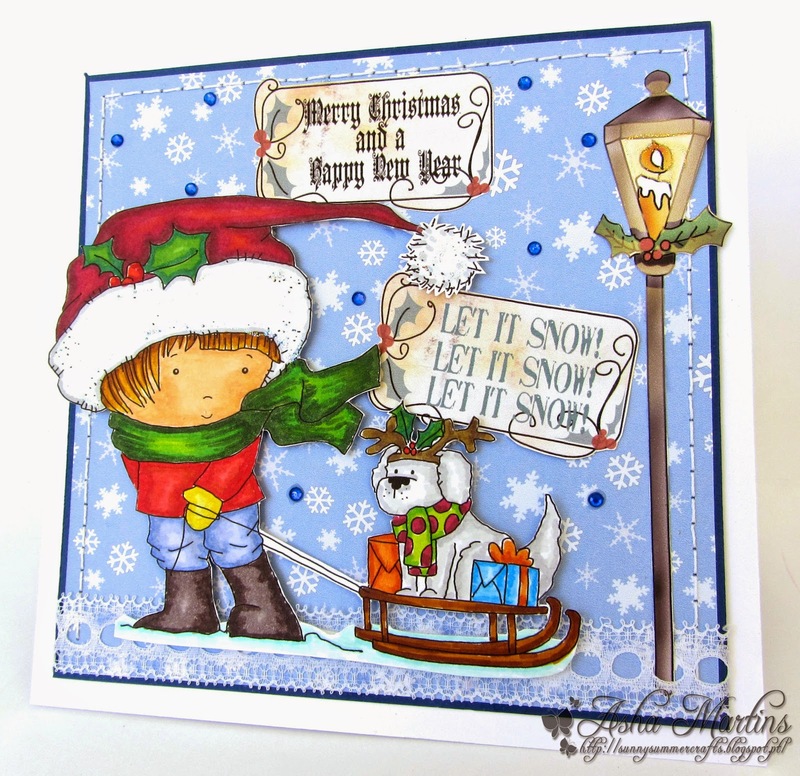 Nikky has really spoiled us with this collection as everything is available individually or as digi stamps too . Claire C I made ​​a funny Christmas card with the fabby Work and Play 6 collection . I know its not a Christmas CD, but for those beer lovers among our menfolk its just the job. 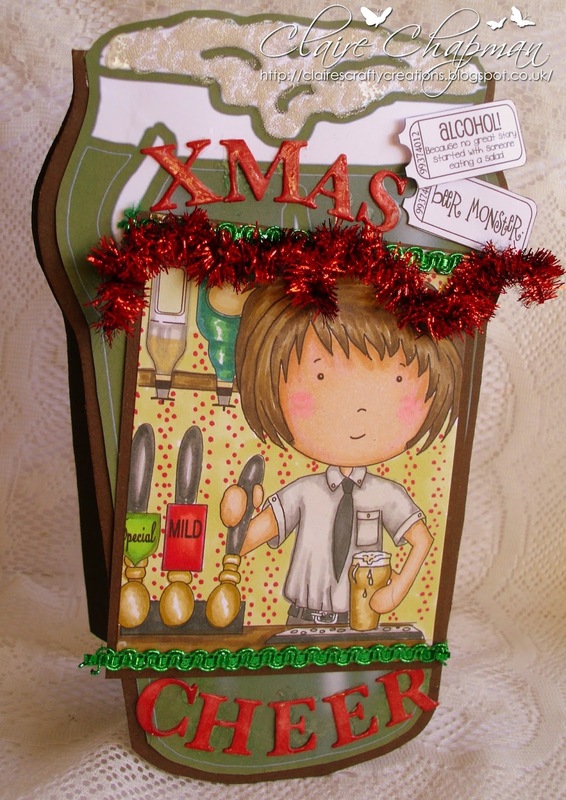 The base of the card was made ​​using the precoloured beer glass image from the embellishments as a template. I coloured the digi image with my Graph'It Markers and added some 'frills'....micro beads for the beer foam and a couple of tickets. The letters were die cut and then coloured with GRaph'It markers. 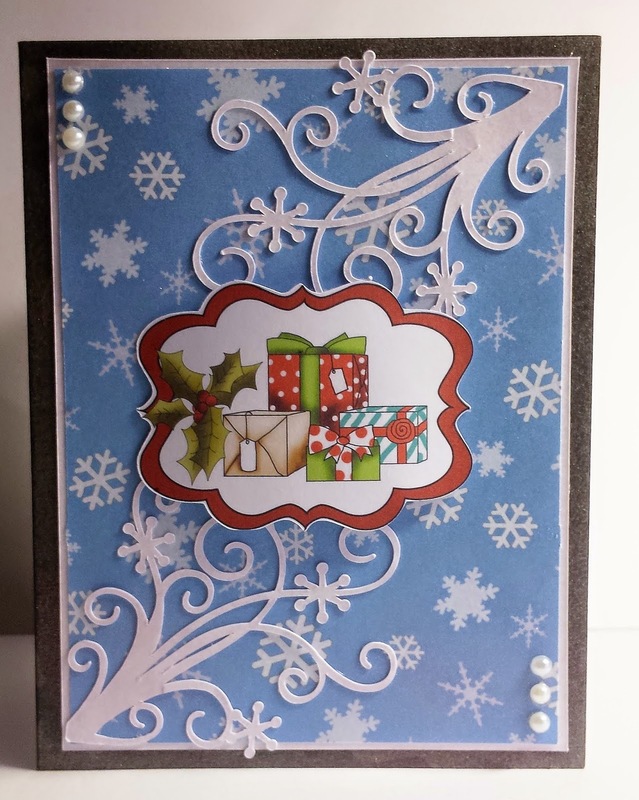 Anjie - I used the Dutch Doobadoo stencil 4 to create the shape of the card and the matting and layering. The image, documents, parcels and sentiment are all from the CD Christmas Angelberry . The bells and fir die cuts are from Tattered Lace but Nikky also has a great fir cutting file in the Digi store too for less than £1!. I used Dusty Concord Distress Ink around the edges of everything. 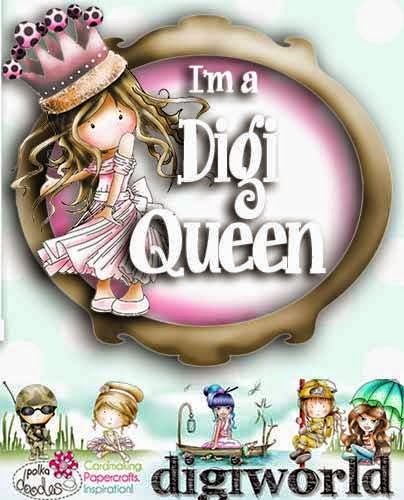 Welcome to the Digi Queens! Ok, so it's only Tuesday, right? Yes, it is, and you're not here on the wrong day by mistake! I'm totally delighted to announce that we have a brand new team of amazingly talented people who are going to be here every Tuesday showing you some fabulous inspiration. When I say inspiration - I mean inspiration! This lovely team are uber talented colourists and love using a variety of mediums to colour all their images and I am seriously in awe of their skills, they are going to knock your socks off. 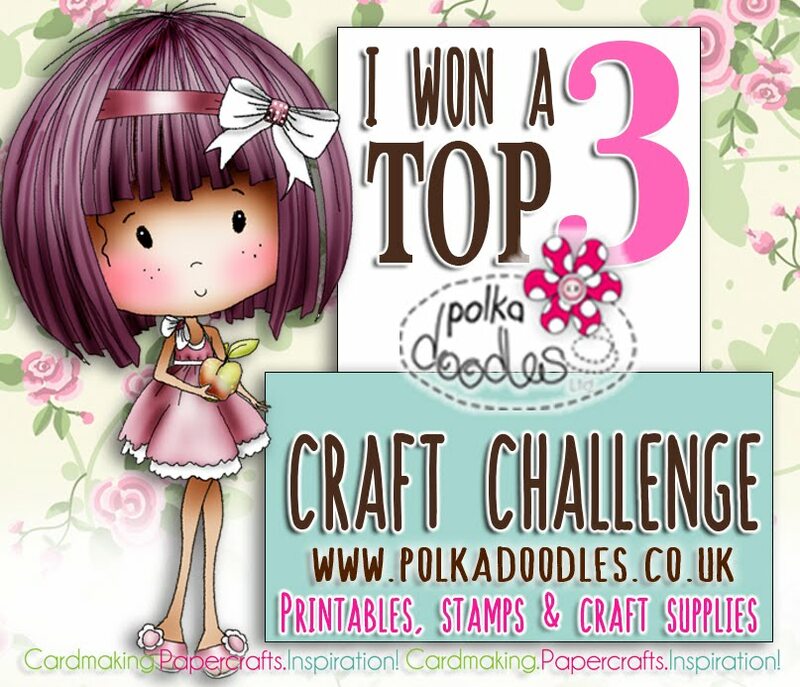 Our normal Polkadoodles challenge will remain in place on Fridays as ever but it just means we'll have an extra midweek post to help inspire you and show you what you can do with the digis and the rest of our products too. 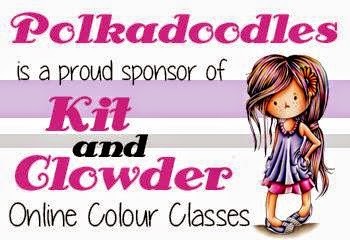 If you are a Kit and Clowder fan I am so pleased to have been accepted as a sponsor for Alyce's amazing classes and community so head over there for lots of specials and some more exciting news coming up for this weekend! We will be having a play along over at Kit and Clowder this coming weekend so make sure you've signed up to get all the news and scrummy stuff! Hi everyone! My name is Pam and I have been crafting for many years, starting with cross stitch after being taught by my mum! Then moved into paper crafting and haven't looked back since! I have had my blog for about 4 years. I am super excited about being here and getting to work with a) some amazing digi images from Nikky and b) such a super talented and great bunch of ladies! 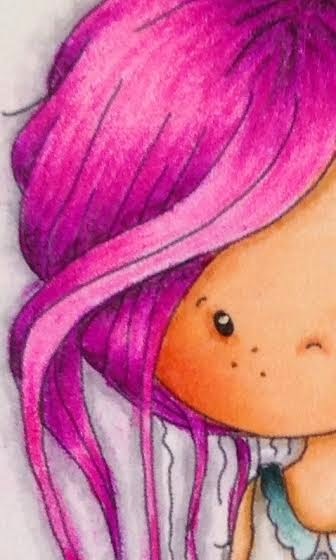 Here is a sneak peak of something I have been working on! Fi....Hi everybody..my name is Fiona although known to everyone as Fi. I have been crafting for a number of years which started off with knitting, I was obsessed when my kids were little but then as they grew up they didn't want knitted jumpers and cardis. 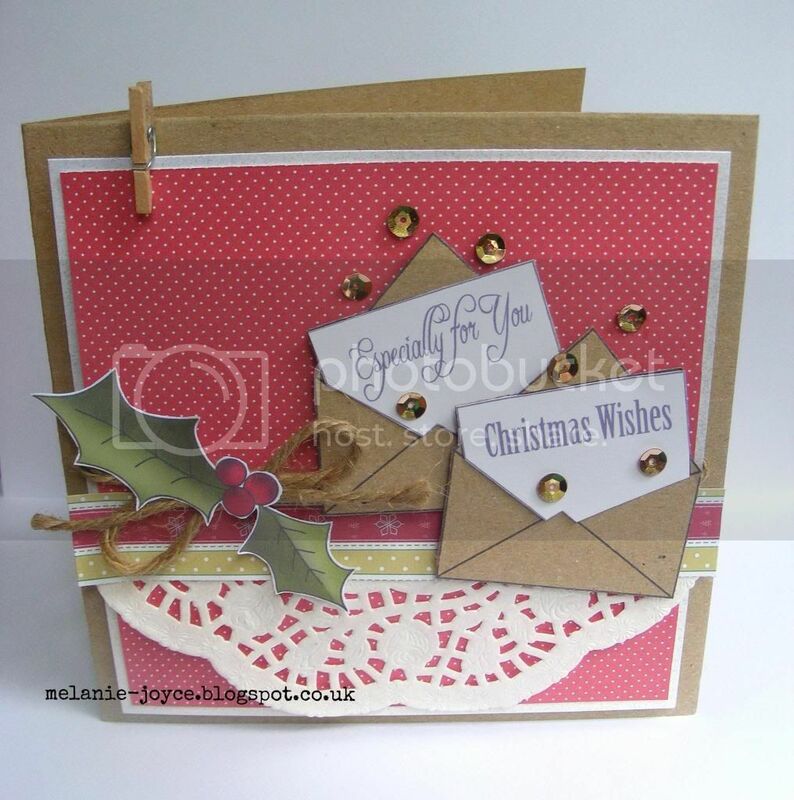 A few years ago, my family was faced with bad news and I needed something else to focus on and my friend introduced me to cardmaking....nine years later I am still hooked!! 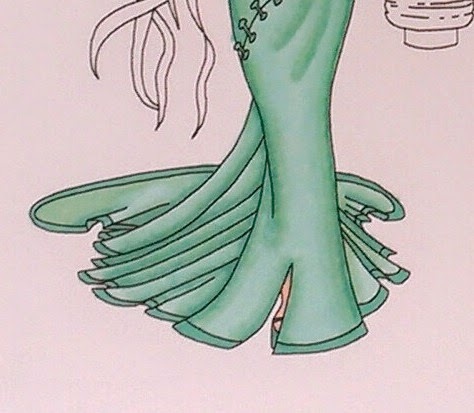 I do love to colour and I am still learning...every day is a school day so hopefully you will love what I bring you...I am so pleased to be here. 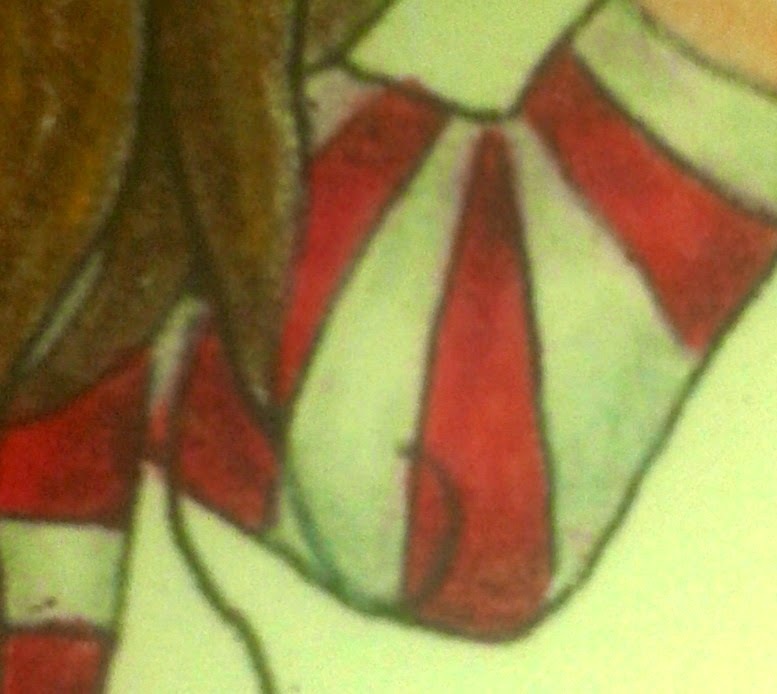 Here's a wee sneaky peek of what I have been working on too. Beverly...Hello everyone! My name is Beverly and I have been crafting pretty much all my life with different types of things. I started scrapbooking and card making about 8 years ago and I am addicted.﻿ I am super excited to be a Digi Queen and there couldn't be a better group of girl to be a part of this with. 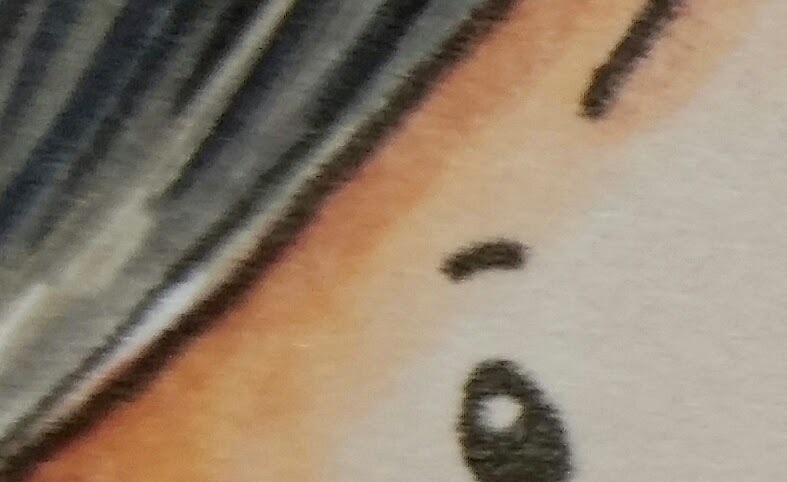 Here is a sneak peak of something I have been working on to come very soon. Anita...Hi there I'm Anita. I have been crafting since my 3rd child and now on to 8 that's right 8 lol..... I love crafting when I get 5 mins here and there but my main love at the mo is colouring and card making. I can't believe I was asked to join this uber talented team and can't wait to get creating. Colleen....Hi, my name is Colleen and I live in Australia. 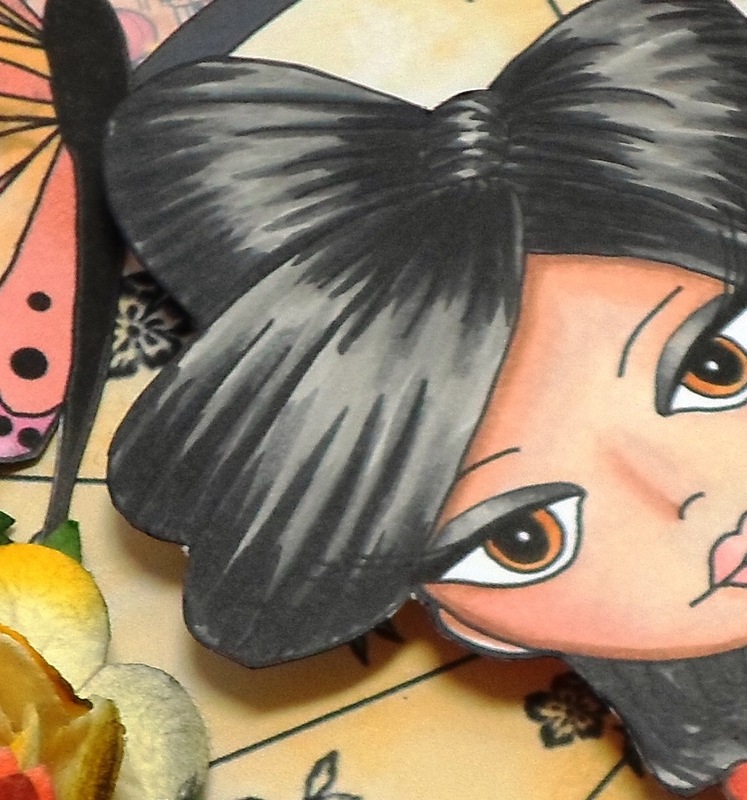 I have been crafting since I was little and found scrapbooking when I had my children. 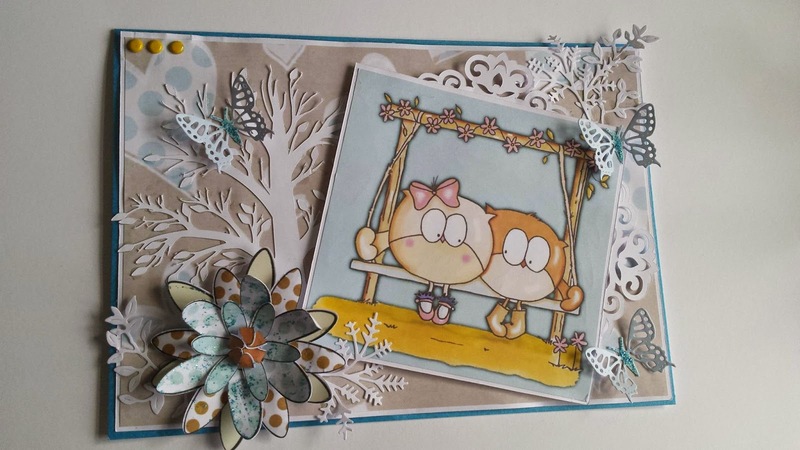 Fast forward to a few years later and I discovered cardmaking and all these beautiful images to colour, since then I have been hooked! 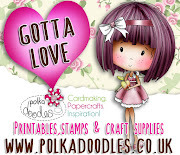 Cara Hi everyone, I've been a crafter for about 5 years and I adore colouring in, as most of you know I am a member of the Polkadoodles team and also the Graph'it marker team so to me this team is a match made in heaven, beautiful digi images from the super talented Nikky and fabulous colouring from an awesome team!! Jackie Hi all,, I have been crafting for about 8 years now, after a serious back injury, giving up the horses and finding I needed something to occupy my time. I had always loved art and craft, so had a bash at my first every hand crafted Christmas cards.. the rest is history, as they say. :) since then I have become more and more interested in the colouring side ... I just love playing with gorge images, like those at PD. :) I am so happy to be on Nikkys team, and get creative. 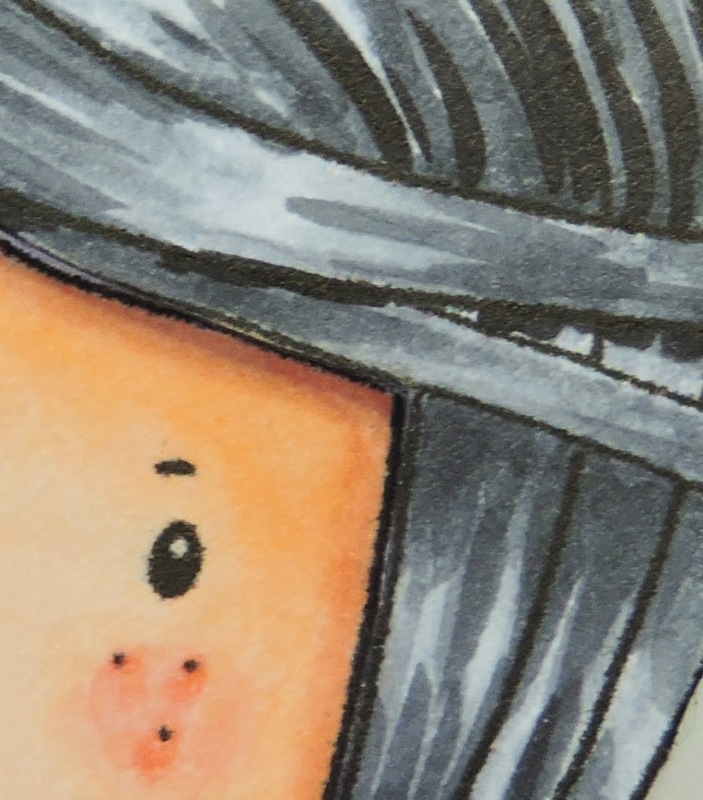 Here is my sneaky peek. 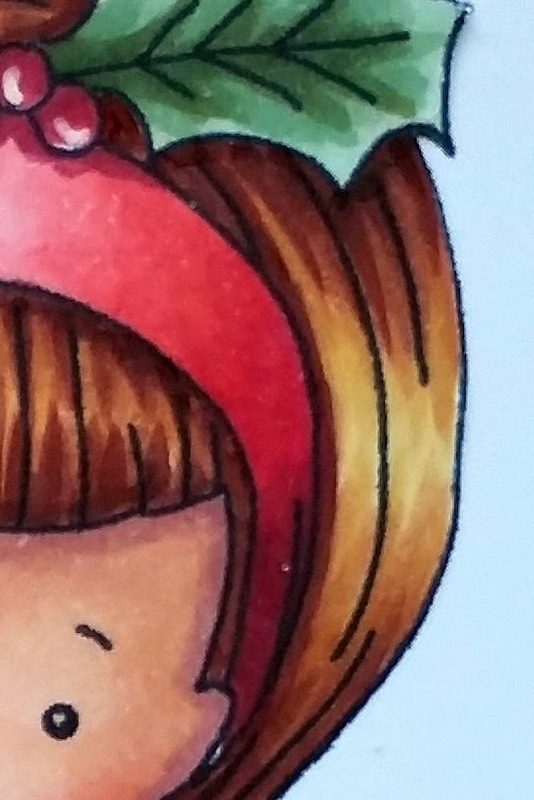 I think you can see from all the sneak peeks that we are going to be having some great fun and showing you some lovely colouring and makes next week! In the meantime, don't forget that the Digi Choosday challenge starts today so head over there and grab yourself more inspiration - don't forget to sign up as a follower of this blog to be in with a chance of getting all those specials that are going to be coming up soon! Happy Friday everyone! It's the weekend woohoo! 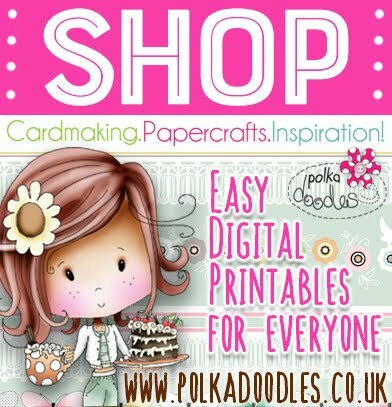 Before we get to today's challenge make sure you check the Polkadoodles store today because there are 100's of fab new products in there including some stunning new digis which you will NEEEEED! 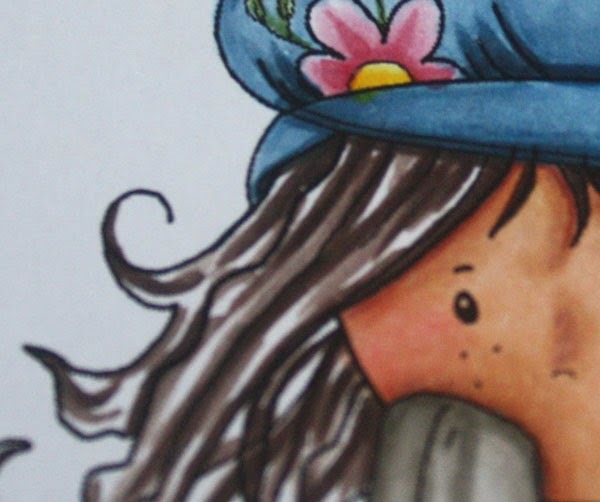 Also - Nikky is putting together a special Polkadoodles Colouring team so if colouring is your thing and you would like to know more see here - but you MUST be quick because the call CLOSES TODAY. See how to apply HERE. We are also super thrilled to now be sponsors over at Kit and Clowder - so watch out for lots of exciting news VERY soon! So let's get to the challenge! Yes, it's here for us cardmakers and we know many of you are now well under way with your Christmas makes already...people who don't make cards can't understand this craziness but we all know how soon we need to get started LOL!! So show us all your Christmas themes - remember no backlinking allowed so don't be posting last year's LOL! 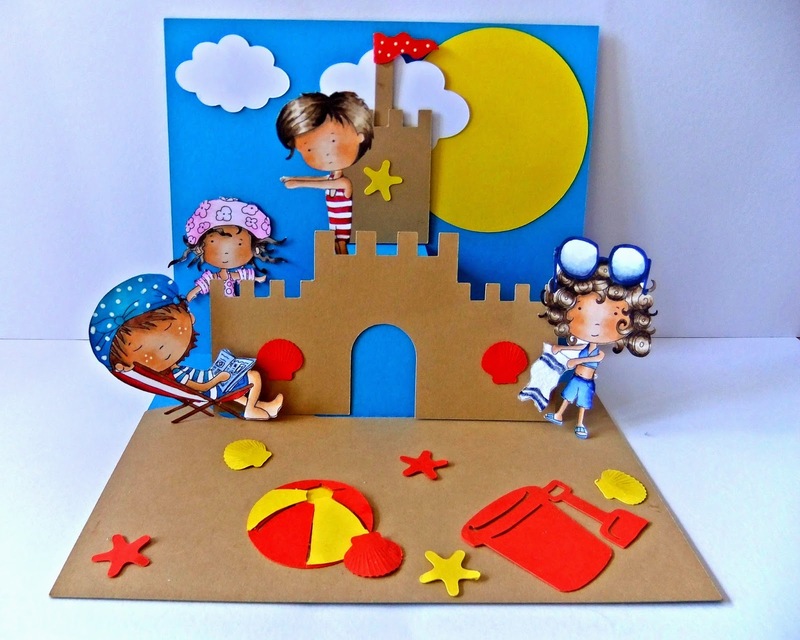 The winner of this challenge will win a copy of one of our Fabulous Hollybobs collections! You have until Friday 5th September to enter at noon GMT. Just please follow the rules in the sidebar. We'll announce last time's winners next week! Samantha K - This was my first ever exploding box :) For this make, all elements and images used were from the Work and Play Hollybobs CD, it really is a scrummy CD, you should go check it out! Asha - The Work & Play Festive Hollybobs Collection is the perfect CD for all your Christmas makes. Everything on this card, except the lace trim and bling, is from this fab CD. I coloured the image with Graph'It markers. It is also available as a clear stamp. Cara I made a glittery sparkly easel card fr this challenge, I used a Design sheet and two backing papers from the Festive Hollybobs CD, the image I used is also available as a clear stamp here but if you aee as impatient as me she is also available as a digi stamp here. You can also purchase the design sheet I used as a single laser cut sheet here, there is so much choice and something to suit every crafter! Melanie - I used the brand-new Festive Hollybobs CD again for this one, but focussed purely on the lovely printable envelope sentiments to create this card. I printed the sentiments twice, once onto kraft cardstock and again onto a thinner white card, then cut my elements and layered them up. The holly and the paper strip are also taken from the CD, then I used a doily, sequins, thick twine and a mini peg to finish off my design. 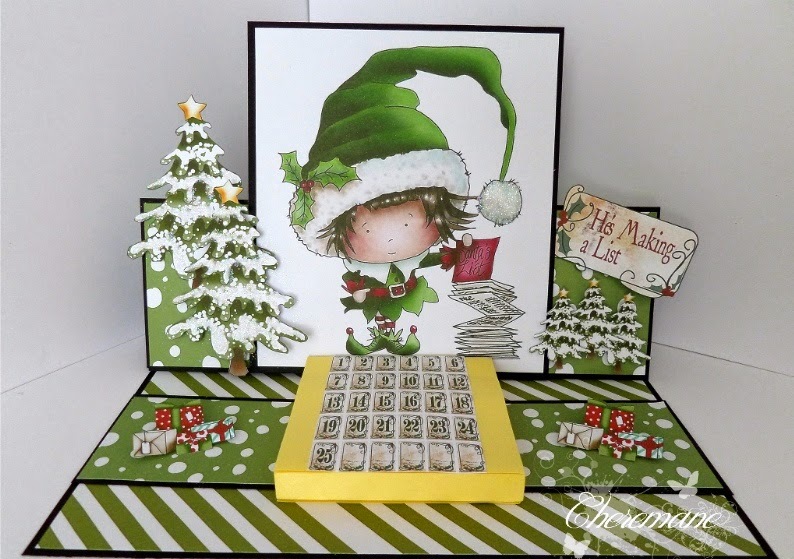 Cheremane - I've had so much fun with the Festive Hollybobs Cd i'm sure you will agree the Little Elf is so adorable and seeing the theme is Get Organised For Xmas I decided to make an easel note pad for all those little Xmas must do's notes. Little Elf is also available as a Digi he has lots of Friends to so go take a Peek. Anna - This time I decided to make a round card. 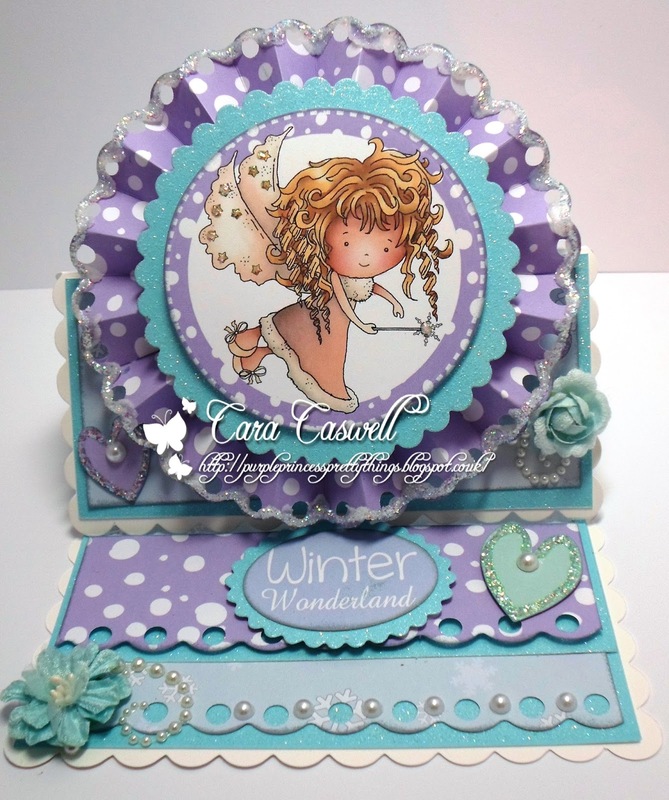 I used blue paper from Festive Hollybobs Cd, as well as paper, from which I cut out spruce branches, a star, and accessories like doily, mistletoe and gingerbread girl - everything from Picknix Collection 2...Gingerbread Twist CD . I arranged all elements in layers with the help of foam squares. I also added my favorite - tulle and some ribbon, hawthorn berries, cardboard presents and crystals. 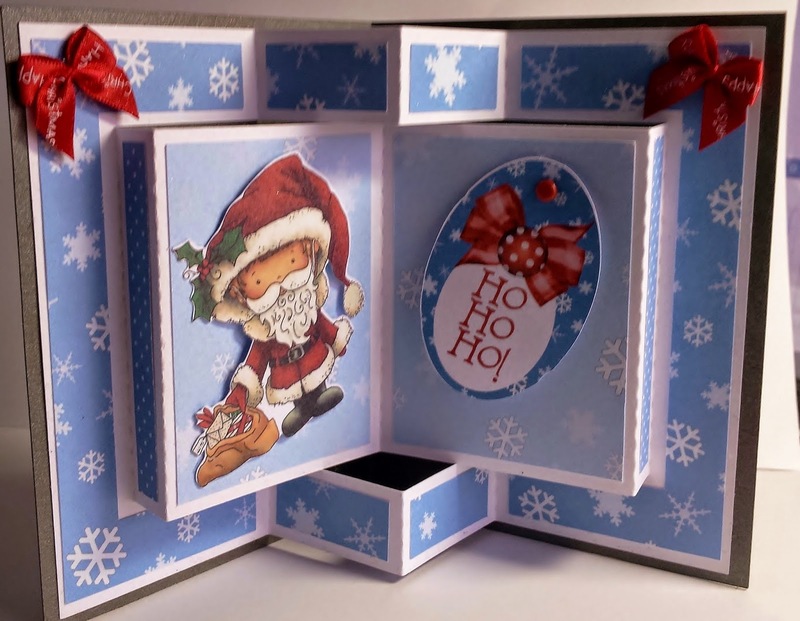 It is awesome, how much fun one can have while making a card - I love making Christmas projects! 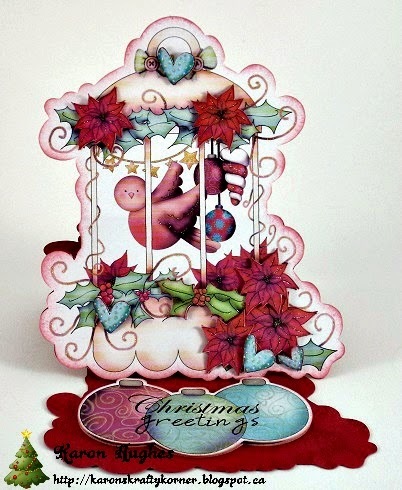 Gorgeous creations this week and lots of inspiration for the festive season rapidly approaching! Remember you have until 5th September to enter! Hi everyone out there. We are here this week with our wonderful inspiration from the design team. You have until noon GMT Friday, 22 Aug to enter. The winner of Weeks 30/31 - Clash the Colours Challenge is at the bottom of this post. There have been 100's of new products added to the Polkadoodles store. Now for the Design Teams inspiration this week. Anna - I associate summer not only with vacation, sun or the beach, but mostly with flowers and the wedding season. That’s why this time I made a layered wedding card, in delicate colors of blue and beige, from the Rose Budd CD using papers and flowers, which I cut out myself and added to the bouquet. I also used other flowers, tulle, string, pearls, and lace so that the card would look even more delicate. Jenny - My card for our Fun in the Sun challenge is from A Double Sprinkle of Kraft and I love the idea of these two sweet owls sitting in the sun enjoying their swing together. Full details are on my blog. Cheremane - I have used the fabulous Double Sprinkle of Kraft Cd for our Fun In The Sun Challenge . As soon as I saw this little girl she reminded me of a summers day walk in the fields with pretty summer flowers and fluttering butterflies. Asha - Here's a bright and sunny card... which also happens to be quick and easy. An all-round winner! For the fun pinwheel background I used papers from the Sugar Birdies CD. 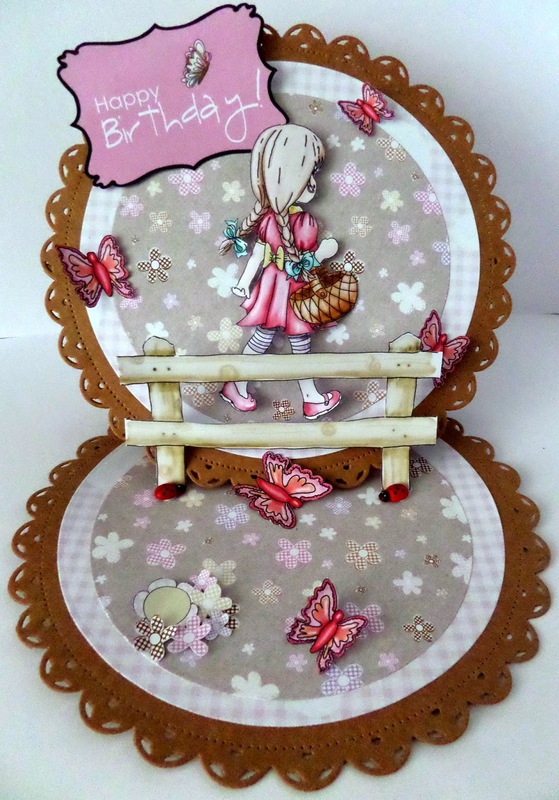 The adorable flower girl is from Bonbon Belles CD and the greeting topper is from Fredericka Mini CD Collection. To finish some sheer ribbon and plenty of bling. 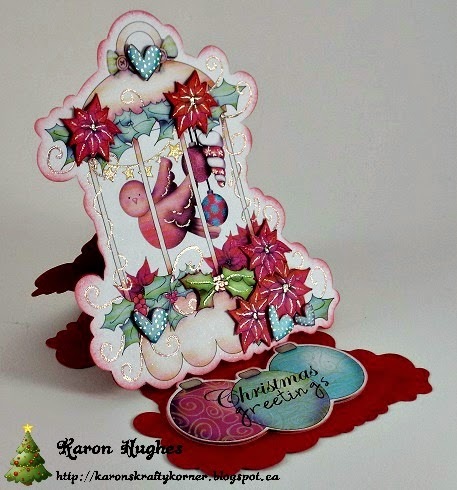 Karon - My card is made up of a few different CDs. 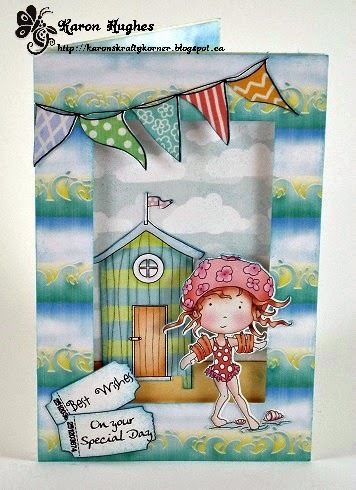 I decided to use the pre-coloured swimmer off of Work & Play 4, along with the wave papers and banner. The cloud paper and beach hut are from the Bonbon Belles Double CD collection and then finally the sentiment tickets are from the wonderful Cherry Blossom Lane CD. All layered to add a little dimension. 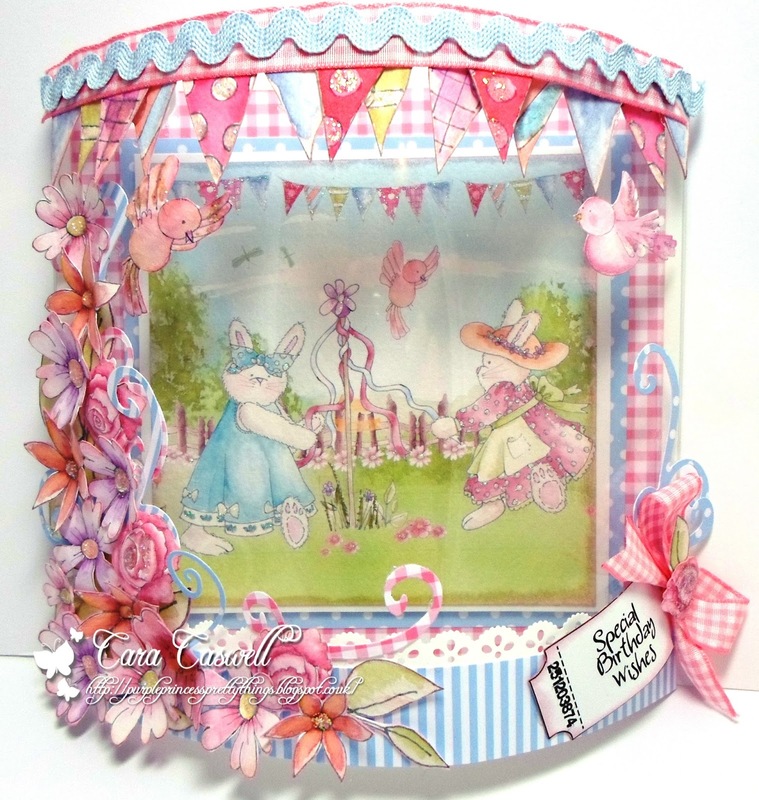 Cara - My card is made using the Cherry Blossom Lane CD, I printed everything on water colour card to give a real soft feel and added dimension by creating a dome front out of acetate and added flowers and birds also from the CD. 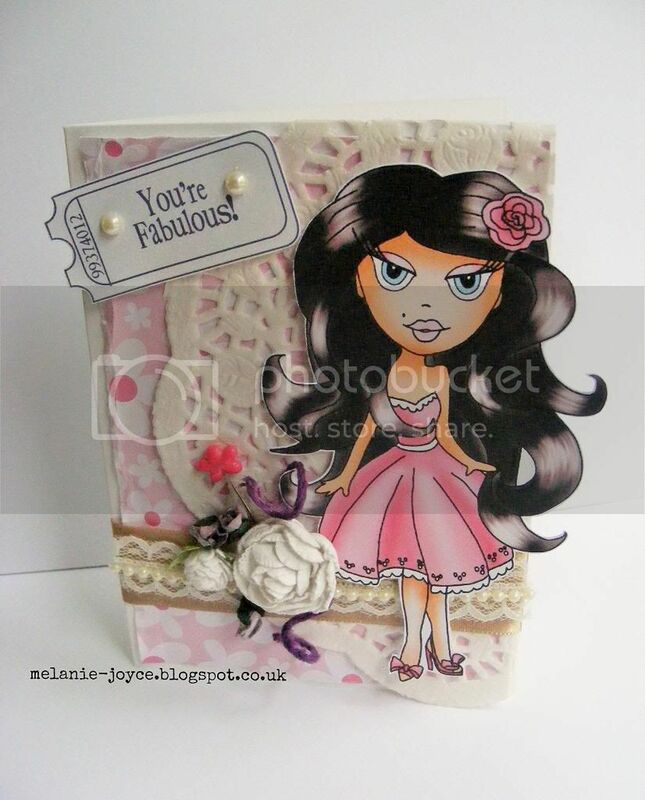 Melanie - For this card I've focussed on how summer makes me think of flowers and pretty sundresses! I used the Dolly Daydream Girl Talk CD for this one, with the addition of a doily, some handmade flowers, pearl lace trim, ribbon and a stick pin. I also curled some purple twine with scissors to create my own tendrils for the flowers. Stunning DT creations to inspire you! Well done you have won a copy of the fabulous Work & Play 6 collection. Well done everyone, thanks for taking part and don't forget to claim your blinkies from the side bar. Fun in the Sun Challenge. Please don't forget, there are a maximum of 2 entries per person.